Imitation is the sincerest form of flattery, but when you're creating mass-market electronic devices, slavishly cloning the work of others usually lands you in costly lawsuit - just ask Samsung and Apple. However, there are a multitude of hardware makers working out of China which are small enough to operate without coming under fire - the fact that their products are relatively niche and not largely retailed outside of the Far East obviously helps in this regard, too. However, in recent times we've seen more and more of these interesting devices make their way to the west, such as JXD's GamePad 2 and the GPD S7800. Almost always powered by Google's versatile Android OS and marketed at people who have no qualms about downloading ROM from the internet, these products occupy a grey area in the industry which is off-putting to some and tantalising to others. Gamepad Digital's latest offering is no exception, and is arguably the company's most flagrant clone yet. 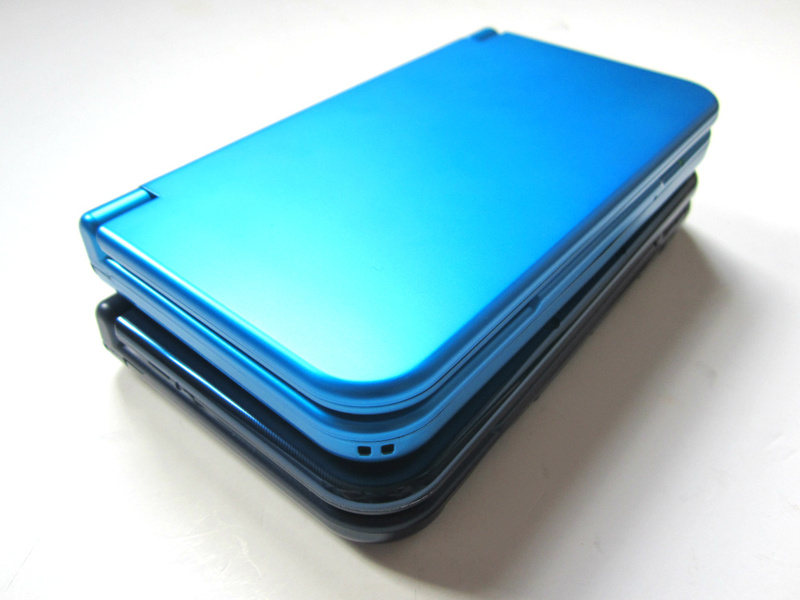 Just one glance at the photos on this page will almost certainly make you think of the New 3DS XL, from which the GPD XD takes a sizable amount of inspiration. While the shameless copying of Nintendo's handheld will leave a sour taste in the mouths of many fans, it does offer one very obvious benefit - the GPD XD is comfortable to hold and the slim clamshell design makes it highly portable. Basically, by cheekily copying an existing design, Gamepad Digital has avoided the usual design woes which seem to plague such products. Copying a design only gets you so far, however. Where these Chinese devices usually fall down is build quality, with poorly-constructed cases, awkward pads and stiff buttons. While the GPD XD is by no means perfect, it's certainly one of the more accomplished efforts we've seen from the Far East in a long time. First up, the unit itself feels solid and doesn't make any odd creaking sounds when gripped tightly. The dual analogue sticks are responsive and well-positioned, and the D-Pad is comfortable and responsive - if a little on the spongy side. The same can be said of the face buttons, while the clicky shoulder buttons are easy to reach but sometimes don't register repeated inputs made in quick succession. There are a few issues then, but none of them are deal-breakers, and the system stands up to what has to be the ultimate gaming test - the D-Pad is perfect for pulling off special moves in games like Street Fighter II, something which can't be said for the pads that ship on many rival devices. When it comes to playing traditional Android games on the GPD XD, the console's built-in key mapping software really helps. Basically, any game with on-screen controls can be adapted to make use of the system's physical controls, and that makes quite a difference with certain titles. Of course, with touch-heavy games like Angry Birds you'll need to rely solely on the touch-screen, which is quite awkward to use on a device of this design. 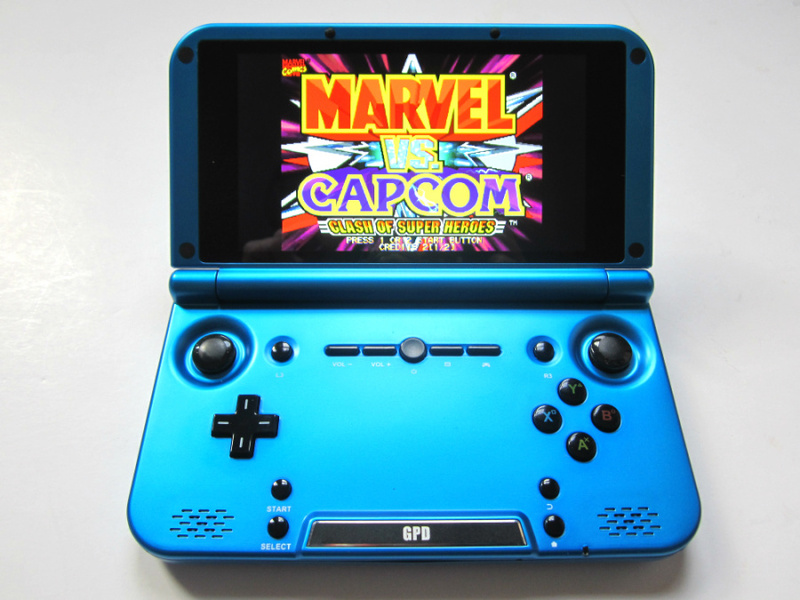 However, it's fair to say that the vast majority of people interested in the GPD XD won't be buying it for Android games, but rather for the amazing variety of retro gaming emulators currently available on the Google Play store. Everything from the lowly Atari 2600 to the Sega Dreamcast is represented here, and the GPD XD's robust technical specifications mean that it is capable of running everything at what is close to full speed, with sound. Dreamcast emulation is especially impressive, and while Sega Saturn emulator uoYabause is pretty sluggish on this hardware, there's always the chance that it could improve as time goes on. From a Nintendo perspective, everything from the NES to the GBA and N64 is catered for here, with the latter benefitting from increased resolution which makes games look a little less blurry. The big sticking point here is that to make the most of such emulators you'll need to brave the wilds of the internet in order to download ROMs - a procedure which is frowned upon in purely legal terms. As always, our stance goes a little like this: if a game is available via legal means - such as Nintendo's Virtual Console service - then you should make the effort to purchase it so the original content creator gets some monetary reward; failing to support such services means that publishers and platform holders are less likely to maintain them in future hardware generations. Of course, given the age of the games industry, there are many titles which are not available digitally and may never be, and emulation is the only feasible way many people can enjoy them, especially when the physical versions - sold via the second-hand market - are skyrocketing in price. The GPD XD comes in 16, 32 and 64GB variants, and all models have a MicroSD card slot which can be used to add in more storage space. Because it's running Android (version 4.4.4, to be precise) the console is capable of running applications, such as Twitter, Facebook and much more besides. Some of these even come pre-installed out of the box, but all you need is a Google account and you have instant access to the Google Play store, where many more downloads await. The form factor of the device means it's not an ideal platform for prolonged bouts of typing, but having the ability to quickly bash out a tweet, write an email or check your Facebook timeline is neat all the same. Another welcome touch is the inclusion of a HDMI-out port, allowing you to hook the console up to a TV set. You can also use Android casting capability to stream content to compatible devices or televisions. Putting aside the GPD XD's blatant cloning of the New 3DS XL design and the potentially dubious nature of retro emulation, there's an awful lot to like here. The console has the power to run a wide range of emulators at near-perfect levels, and the controls are - for once - arguably as good as the real thing. The pricing could give some people pause for thought - Funstock is selling the base 16GB model for £149.99 (that's about 213 Euros, or $228 US) - which makes it almost as pricey as the console on which is it so clearly based. Despite this, the system comes highly recommended if you're a keen emulation enthusiast who seeks an all-in-one handheld which goes beyond gaming with excellent app support. 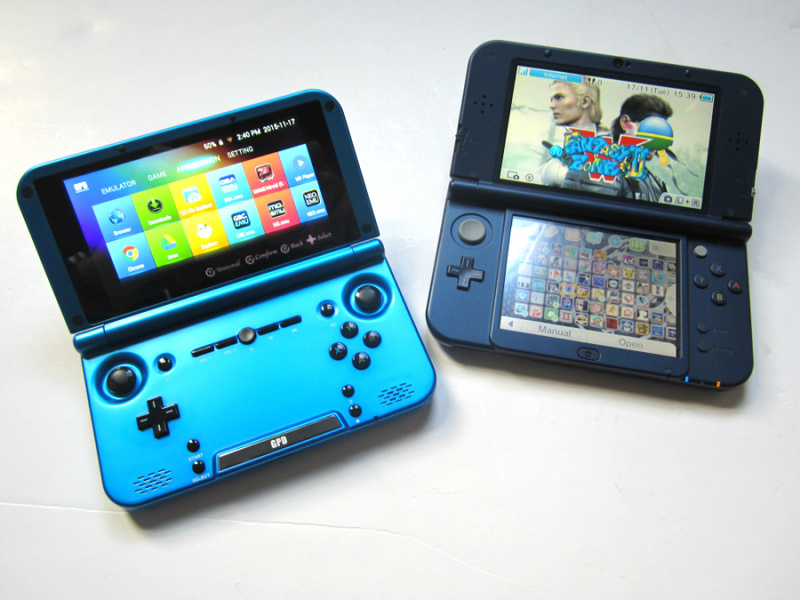 Thanks to Funstock for providing the Gamepad Digital GPD XD used in this review. I was waiting for this review, looks like I will be picking one up them. Thanks Damien! for a bit i thaght this culd be a WiiU Gamepad replacement oh well lol. But for that price you could get a real-deal Nintendo. I'd be tempted if it were like £40-50 just out of curiosity.. but this thing's running Android, right? I'll just use my phone unless of course, my DS is within reach. What's the ram on this thing? I want the JXD Singularity! I've had my eye on this thing for a while and am eager to get one, maybe for Christmas if I'm lucky. I reckon it's worth mentioning that Geekbuying currently has the 32gb model listed at $169, or £114, in a deal for the next 6 days. If this weren't on my Christmas wishlist I'd be buying this right now. @RupeeClock thanks for that link! I saw this in a funstock email a few weeks back and loved it. Glad to hear the emulation is good. Can I ask, what is the dreamcast emulation like? Is it worth the asking price or is it just as bad as always? I just ordered a One Plus X phone yesterday which as 3gb ram, which might make a difference, and I also have the newer 8bitdo fc/snes Bluetooth controller. I've seen someone playing one in the wild, they were emulating Pokémon Heart Gold or Soul Silver and were in the Kanto region. They were playing that very comfortably and even using fast forward. This video review has a good section showing off Dreamcast emulation. I wasn't too sure if it was running at sub-60fps or if the game did happen to run at 30fps anyway, not familiar with Dreamcast framerates. Does it have 3D capabilities? It's running a SNES game?! Yup, Nintendo didn't make that! @readyletsgo Dreamcast emulation is near-perfect - it has been on Android for a while. @Gold_Ranger I'd say this, the S7800b is quite old now, and I prefer the design of this. A softmodded PSP is still the way to go. Does a softmodded PSP still hold up these days? I'd have thought it would be far outclassed by the likes of Android devices which are in fact capable of emulating DS and PSP games. Looks really nice. The price is a little too high for my taste. Buy from Willgoo or GPD's official Aliexpress store. Funstock will just drive up the price to unreasonable levels. Much higher than the actual price is. The 16 GB model is actually around $140-150, the 32 GB is a little more (can't remember right now), and the 64 GB model is $200. So for the same price as an New XL, you won't have access to Nintendo's latest and greatest 3DS games, but you'll have far more storage (speaking of the 64 GB model here), better dual analog sticks, and processing power that is light years ahead of the New 3DS. Of course buying a system without games is a bad deal. No problem since aside from emulation, Android offers plenty of excellent games on the Play Store. Though, knowing what I know about the average Nintendo fan on this site, nobody here will care or believe that as Mobile is believed to be the devil's spawn here. @RupeeClock They may not play DS games but since they were designed to play games they still hold up well. The fact that it has buttons, a large high quality screen and is a sturdy little machine makes it my favorite method. It still doesn't play all 64 games well but I use the quality buttons and comfort in your hands make it rally stand out. I use it mainly for SNES, NES, and Genesis games on the go and have never had an issue with those. Also, playing games on modern mobile devices kills the battery fast but I can play a SNES game son PSP for 7-8 on a standard battery. They are also relatively inexpensive. I picked up my PSP 3000 for $20 bucks last year but you can find a good one for less than $50. Supposedly you can hack a Vita to the same and due to the newer tech it can run newer console emulator but I haven't tested it yet. Once Sony stops supporting it and doesn't update it anymore I'll pick one up to try. You can still get away with really really old game emulation on PSP, but of course an Android device will offer far superior performance. Also better support as the Android community is very active. S192 apparently won't come out until early next year. Generally presales won't be up until maybe a month or two before release. Just keep an eye on JXD's official page or Willgoo. It's already pretty cheap considering what's in it. 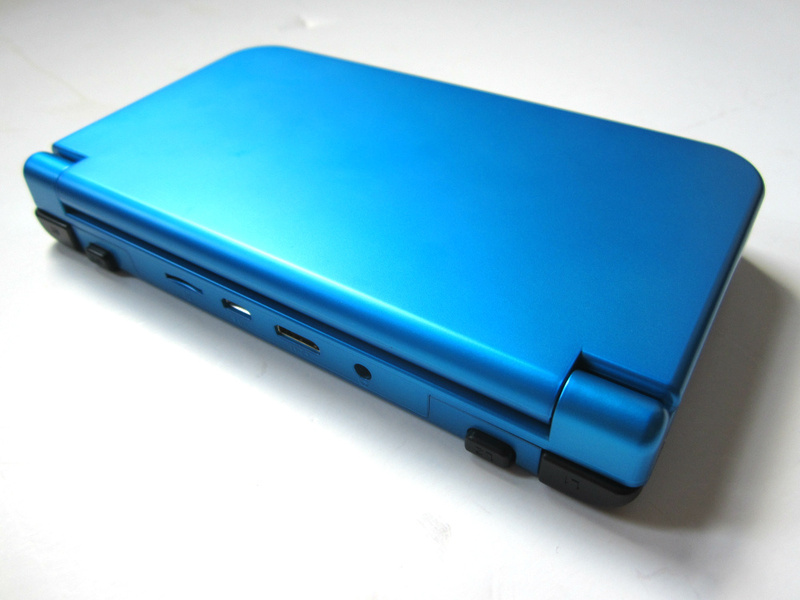 It's not the most powerful hardware of course (about as powerful as a Shield Portable), but it is far, Far, FAR more powerful than any 3DS Nintendo has ever made. I would avoid Geekbuying if I were you. The folks over at the Dingoonity boards have been reporting extremely bad customer service and poor post sales support from them lately. Thanks for the heads up, I better have a look since I linked to them as where to buy one on my wishlist. So this plays games from the google play store? Is there a limit of what software it can play? @RupeeClock @NESguy94 A soft-modded PSP is light years behind the latest Android-based devices. @Seacliff Yep, downloads stuff just like any other Android device. No real limits as yet - handles the latest 3D Android games fine. Good, even-handed review. That bottom part of the device is pretty hideous looking without the second screen, though. I really wish Nintendo would realize the gold mine its sitting on with just its first party content from previous generations. Even though I can (and will) play emulated versions of SNES games on my smartphone with a bluetooth controller, I'd be VERY happy to delete all those ROMs and purchase them legitimately on the 3DS. I know a lot of people who feel the same way. @Moon Get the 'real' deal from Nintendo and spend an extra £500 on top for incomplete VC. That empty space where the touch screen should be is... Pretty stressing. I constantly see people complain about no SNES and GBA games on the 3DS. This may be the perfect solution for them. @technotreegrass I'm tempted to pick one up. This has more games and has better virtual console. @Damo It does what it needs to. I don't want to play on Android Devices because they don't have buttons. You're...commenting on a review about one of the MANY Android devices that have built in buttons and sticks. This is one of the better ones, too. @AVahne you're right. I was thinking portable devices like phones and tablets. For anyone interested in something like this, I'd recommend the DragonBox Pyra over this, once it's released of course. It can do all this plus it runs on Linux and has a full keyboard. 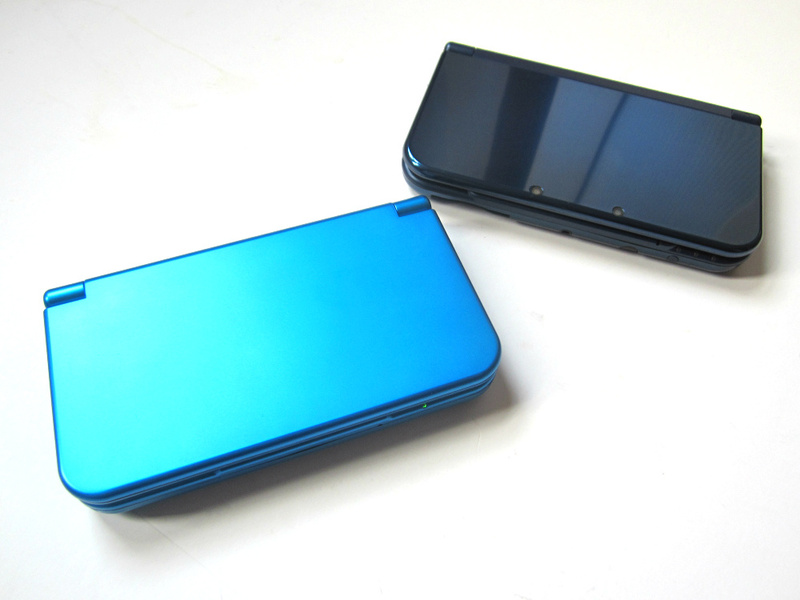 Funny, that button layout is pretty much the same to my dream 3DS/N3DS successor. Although I had to make the system as long as the PS Vita because I want the touchscreen to stay (but a bit smaller). @Spyke I was going to say this looks a lot like the OpenPandora project. @chiefeagle02 I'm assuming this device is less expensive than the OpenPandora though. As much as I love my Pandora the price certainly made it difficult to get. It's also about 4-5 times more expensive. Last I checked they're estimating price to be over $500. Probably around the $600 mark or higher. This is better for people who want quick emulation while also having quick and easy access to Google Play stuff. This is also a bit more powerful than a Pyra, so emulation may work better on the XD. Don't get me wrong, the Pyra is looking to be awesome and I want one one day. It's just way too expensive for most people, plus personally I'm waiting for anyone in the community to sell a stronger CPU board. @AVahne The website shows the Pyra as being available for pre-order for about $300, it's the OpenPandora that's closer to $500 or $600. lol, this has something from all 3 of the main game hardware manufacturers. The obvious being from Nintendo with the 3DS clamshell design, but if you look at the face buttons, it not does it have the XBox arrangement of ABXY, but the smaller icons on them are arranged like Playstation. @Volmun I saw it and thought that too lol. 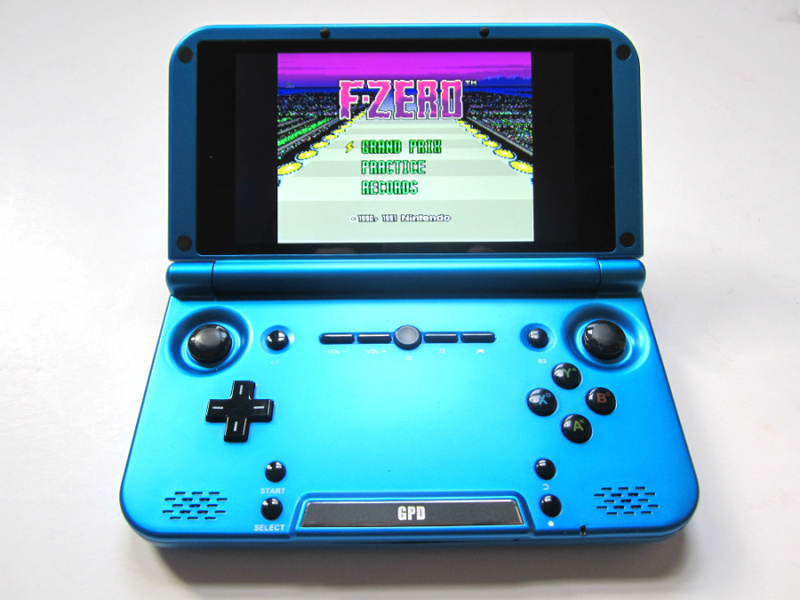 Might keep an eye on this, but will stick with the New 3DS for emulation. The PS1 emulator is looking promising and N64 is right around the corner. That's unfortunately just the deposit amount. When they start mass production and selling, they'll bill all preorders for the remainder of the cost. In total, it looks like the Pyra will be in the $600s. This is interesting. I've got an S7800 that I've not used in a while, since my N3DS with homebrew is fulfilling all my emulator needs right now. How good is PSX and N64 emulation on these devices? If only it had a camera... Other than that, I would totally buy it. it looks amazing, but it is a little underpowered. It might still struggle with games like conkers bad fur day. In the end my phone has more power and the moga pro bluetooth controller does the job just fine. Looks really interesting and I just found a coupon of $20 off for it, wondering if I should buy it asap. For those interested the coupon code is SCVYOQAH to use on geekbuying. @gingerbeardman I have to ask. How are you running homebrew on a new 3ds?